Tired of rebuilding the captured planets due to inefficient buildings placements by AI? Don’t want to waste time designing the best possible layout of the buildings? This mod is the solution to these problems. With CATR the placement of the buildings does not matter that much, so we can say no to annoying micromanagement! CATR mod modifies resources making them collectable no matter which building is built over the tile, effectively removing the restriction where buildings suppress the collection of the resources they do not produce. Therefore CATR is compatible with any mod adding new buildings. And everything else, I suppose. The mod changes just one file: “commonstrategic_resources00_strategic_resources.txt”, changing “collect_if_wrong_building = no” to “collect_if_wrong_building = yes” for all planet resources types. That is all! All the credits go to the Gemroth, who came up with this idea! There is just one purely cosmetic issue: the GUI can properly display the tile resources if there is no more than 3 of them. If more, the numbers overlap with resource icons. With CATR it is possible to have a condition where there are 4 or 5 resources collected on a single tile: for example, a science lab built on a tile with energy or/and minerals. Not a big deal, but good to know, right? 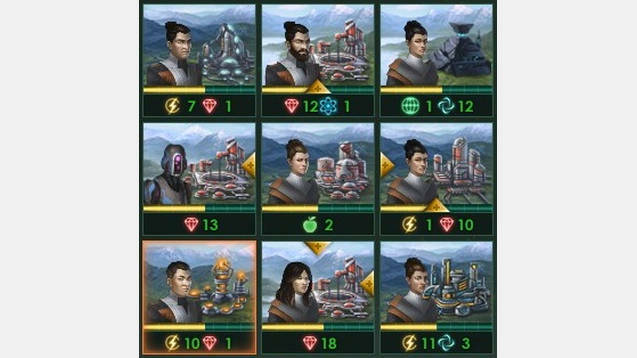 Keep in mind also that adjacency effects affect respective buildings, not resources, therefore adjacency effect from Mineral Silo will not make neighboring Energy Grid producing +1 minerals, even if it placed on mineral tile. So keep an eye on adjacency, that is the only thing that matter now with CATR.